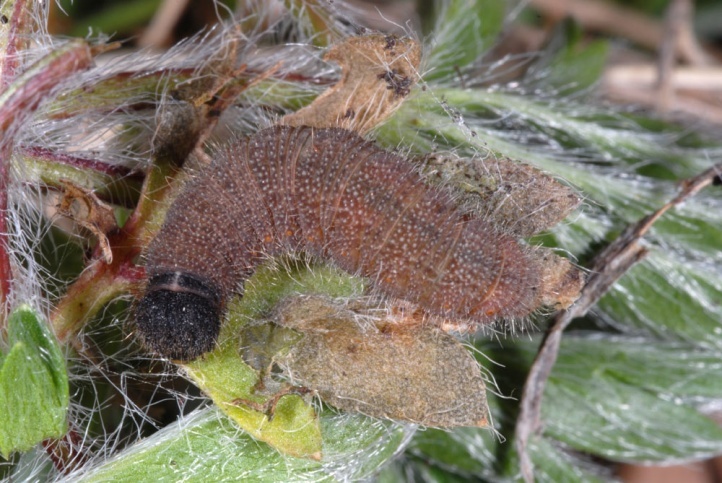 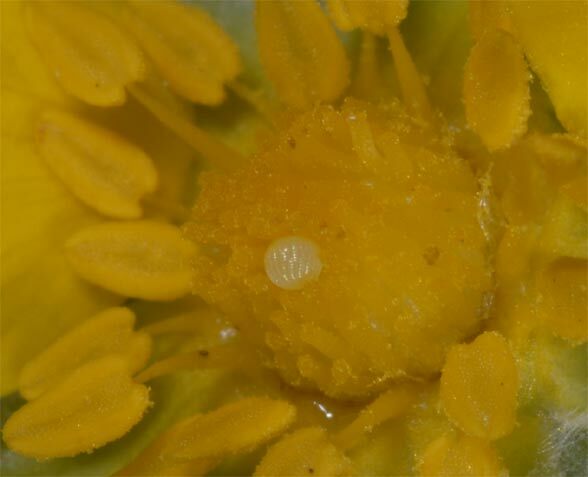 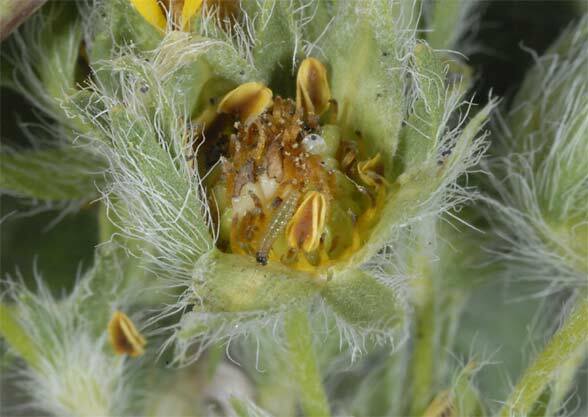 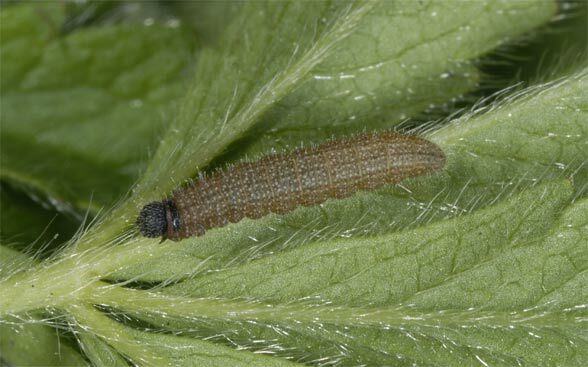 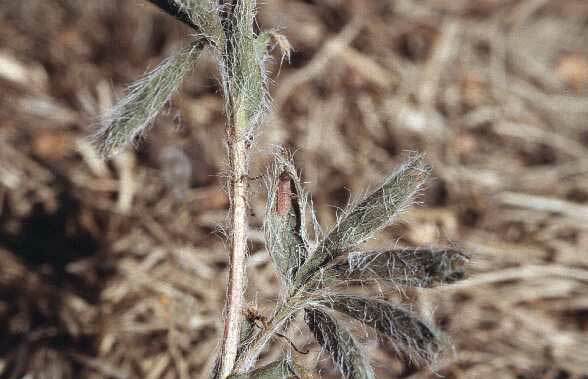 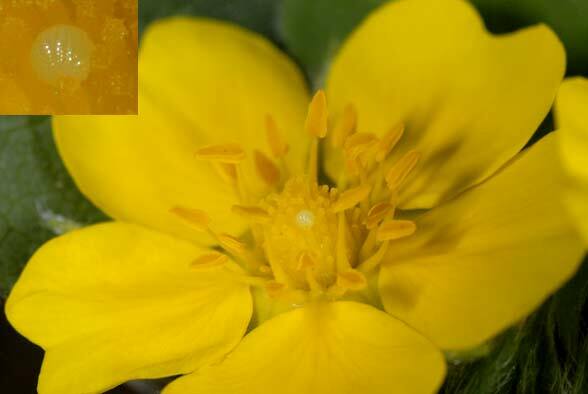 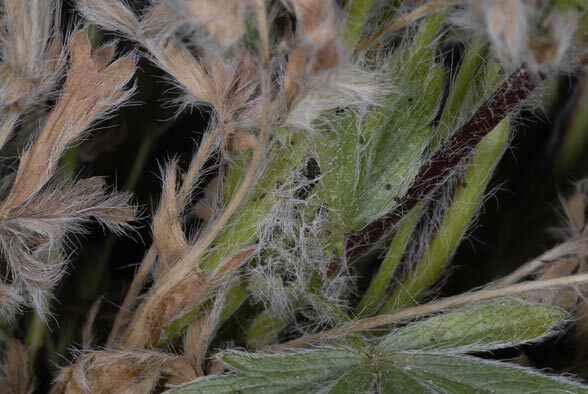 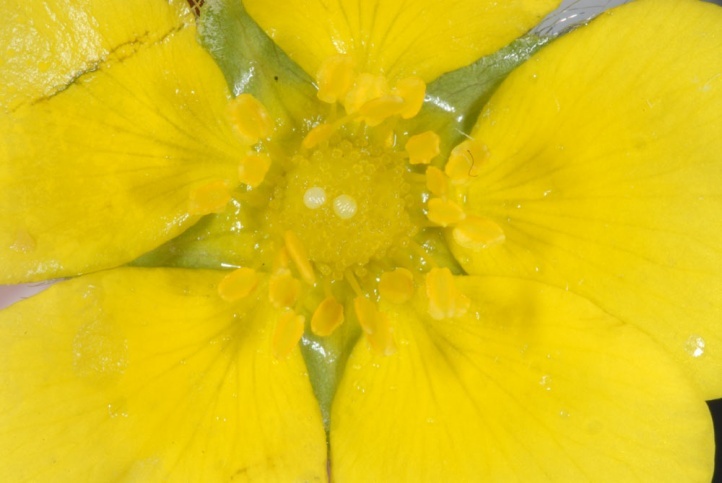 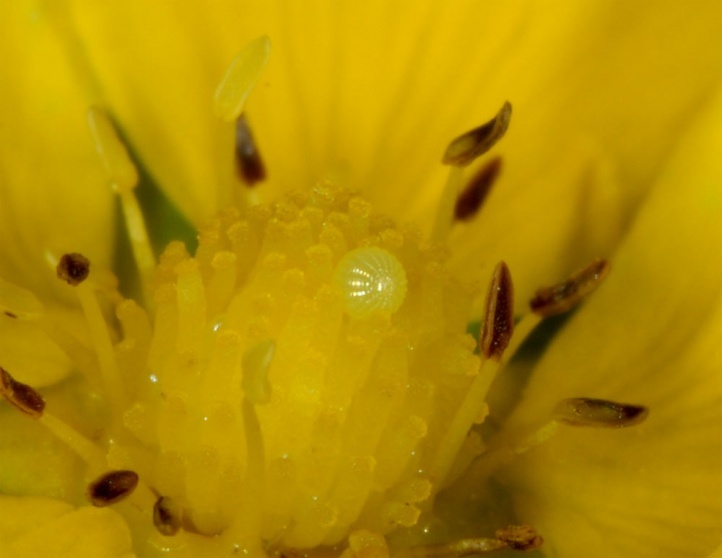 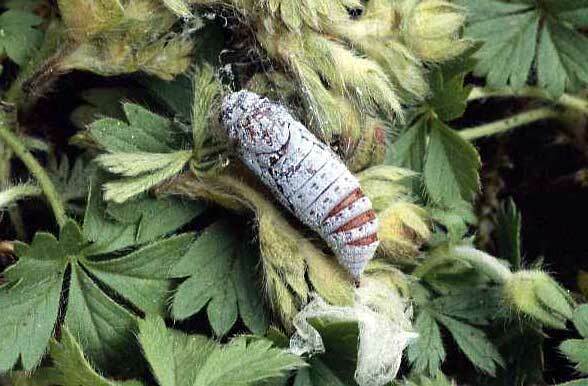 In Provence, I found eggs and caterpillars on Potentilla hirta (see also the observations of Nel), in Greece on Potentilla recta and Potentilla hirta (egg and caterpillar observations around Mount Phalakro, Askio and the Prespa Lakes). 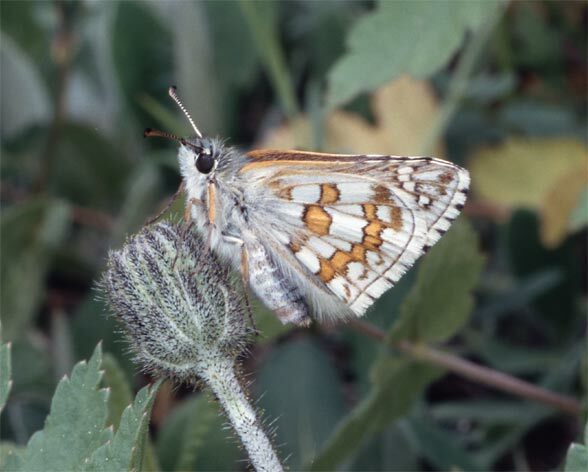 Pyrgus sidae inhabits clearings in white oak forests of the Mediterranean and especially supra-Mediterranean level in Provence. 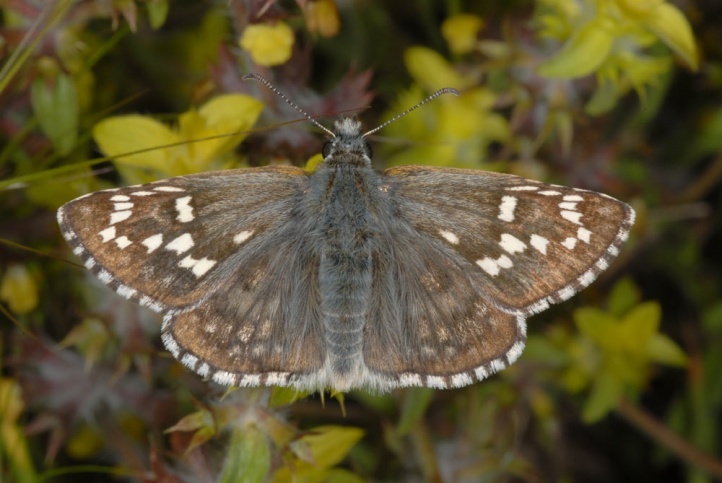 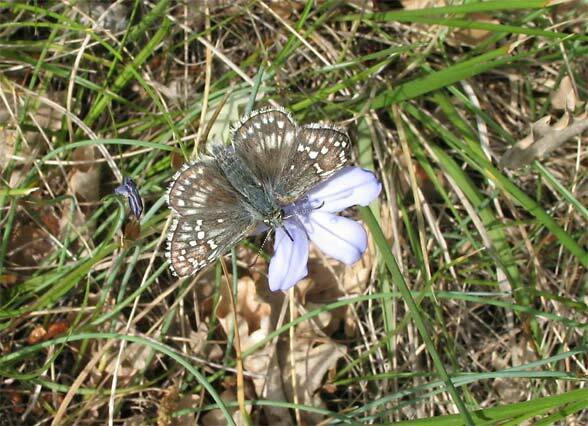 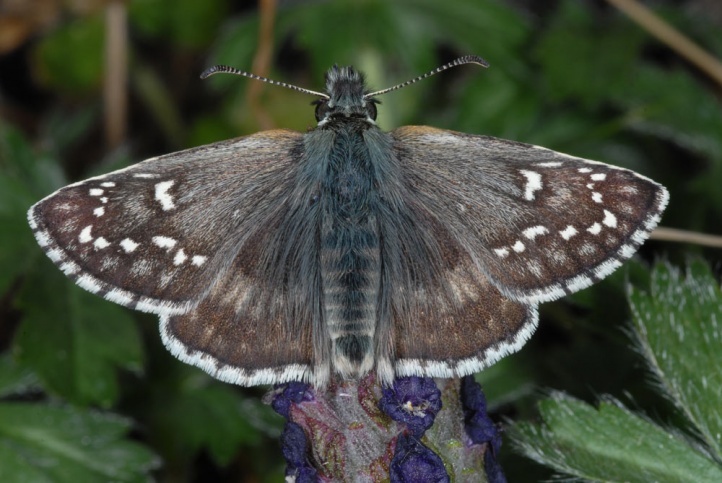 In Provence the butterfly often lives in dry gullies and along roads in light oak woodlands (e.g. 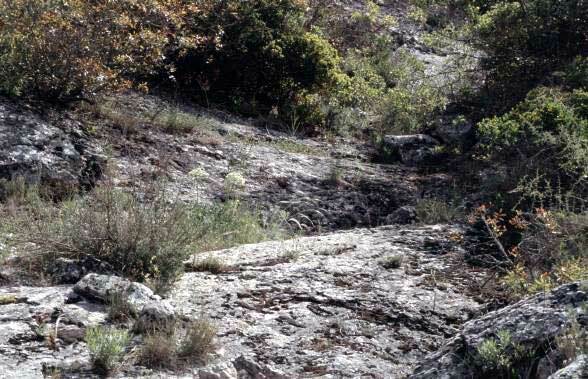 in the Massif de la Sainte Baume). 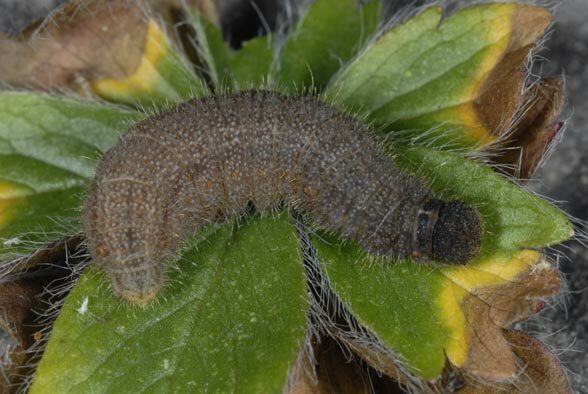 I found fully-grown caterpillars in April and those in the L3 instar in September. 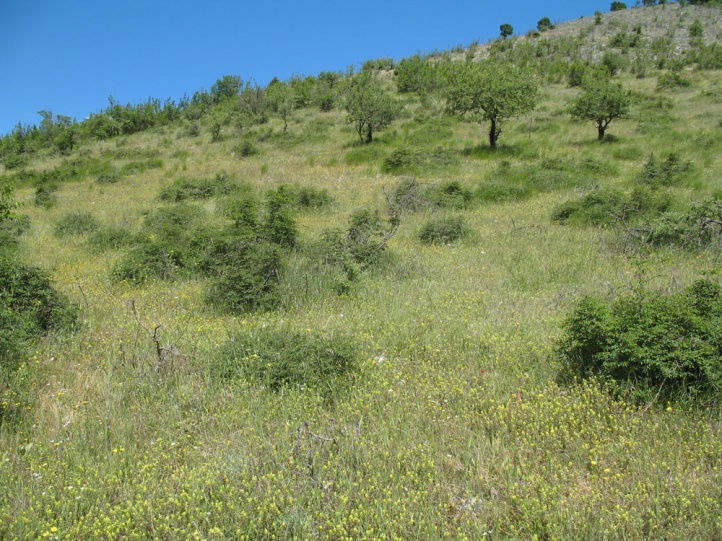 In Greece the preferred habitats are located in the middle high altitudes from about 500m to 1800m above sea level (sometimes lower), usually on grazed, shrub rich slopes and pastures between forests (dry to mesophilic). 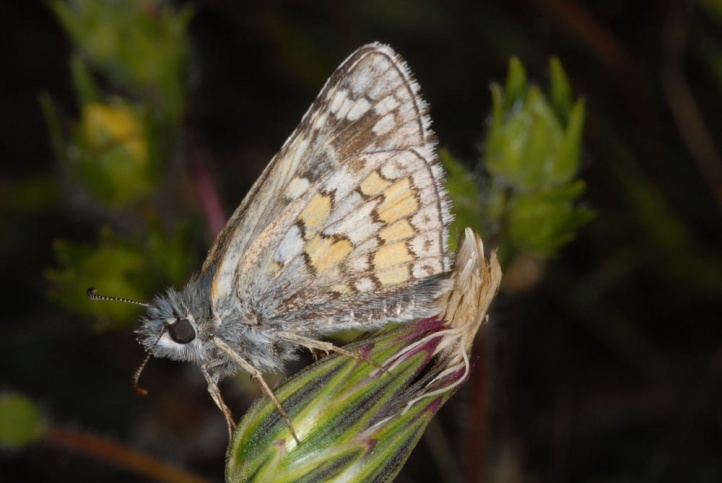 At drier sites Pyrgus sidae is sometimes accompanied by Pyrgus cinarae. 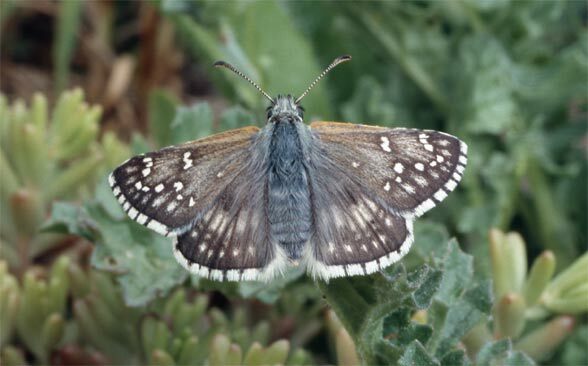 Pyrgus sidae hibernates according to Nel (1984) and own observations as L4 (penultimate instar). 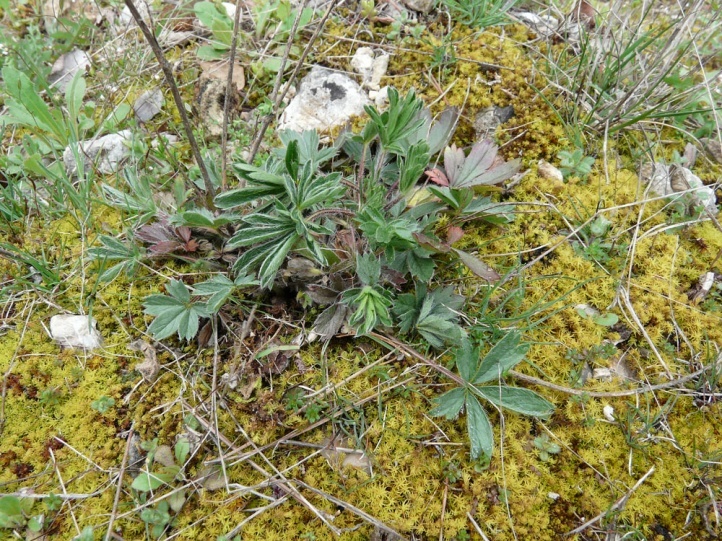 The flight time is from mid-May to June or July. 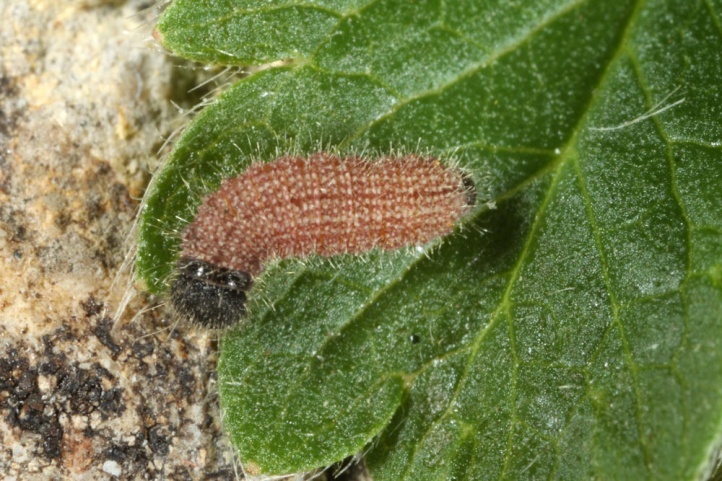 I found adults and eggs in the end of May in Provence (400m above sea level) and in mid-July 2006 in Greece (1500m). 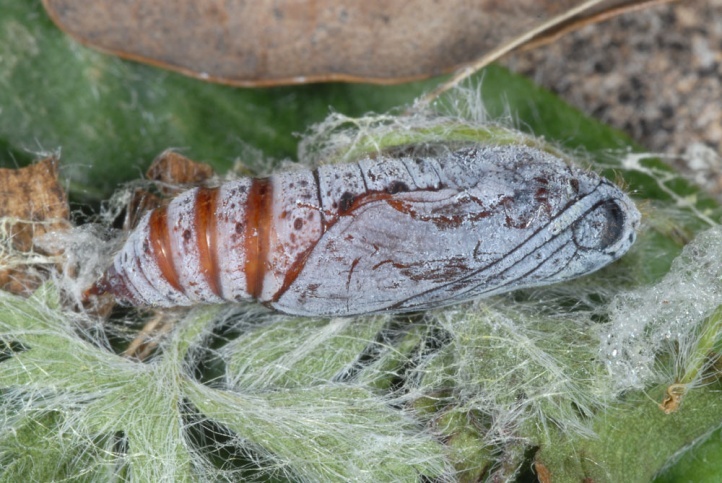 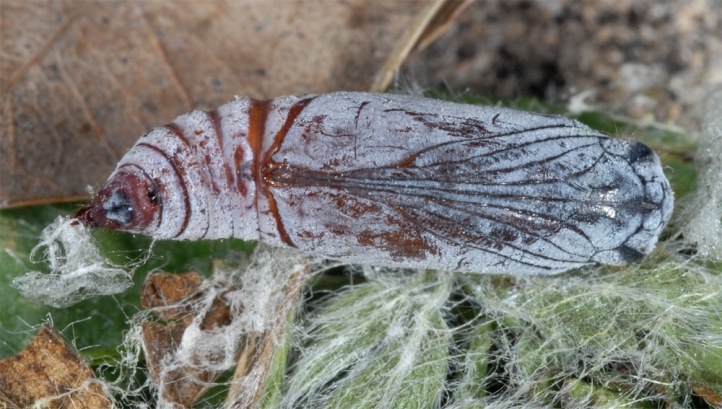 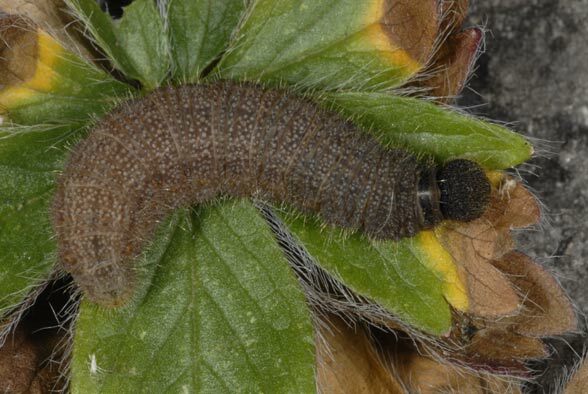 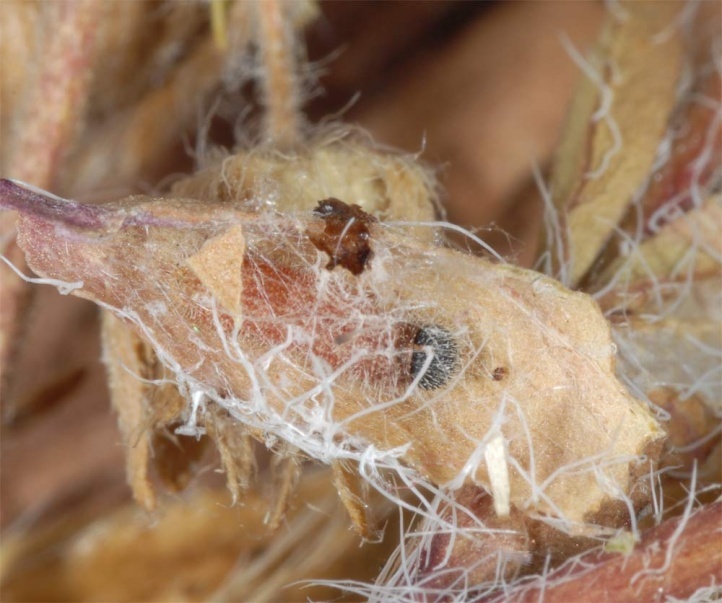 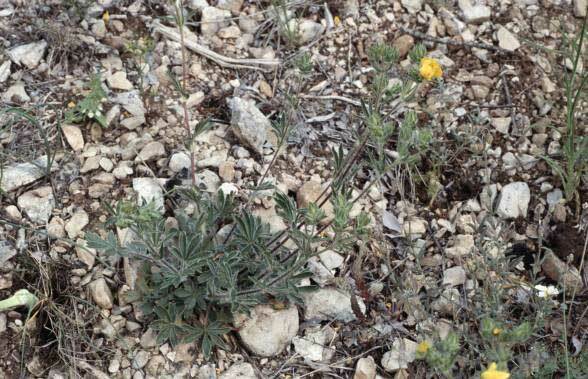 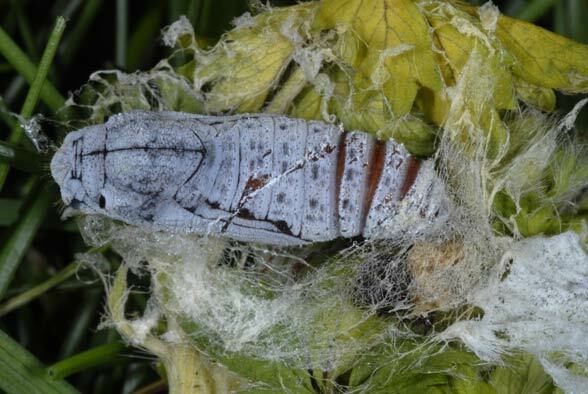 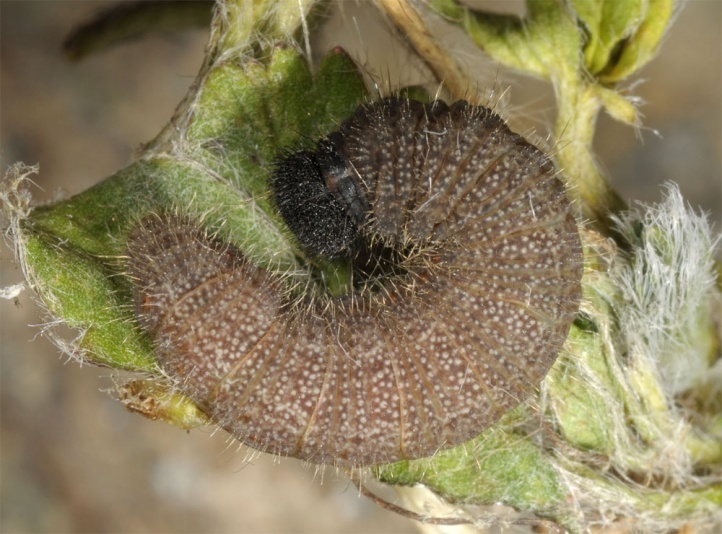 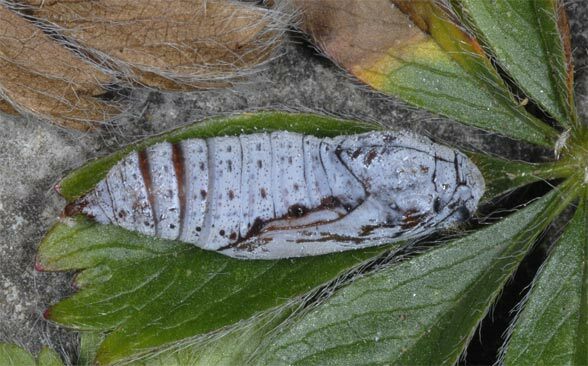 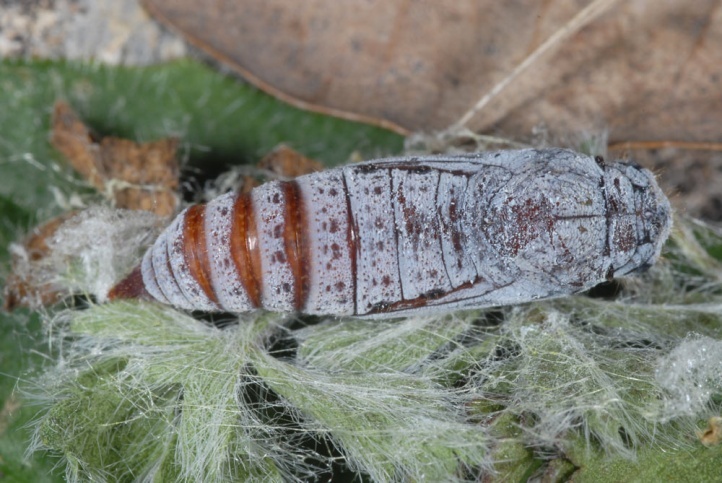 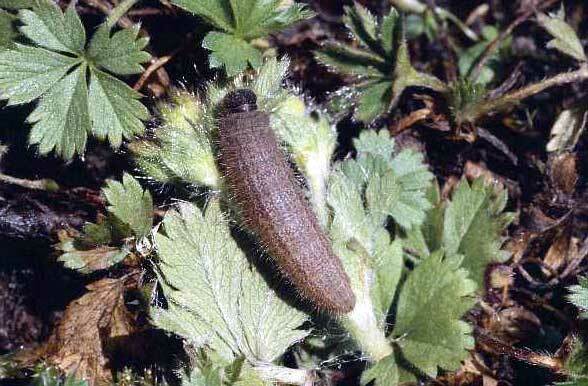 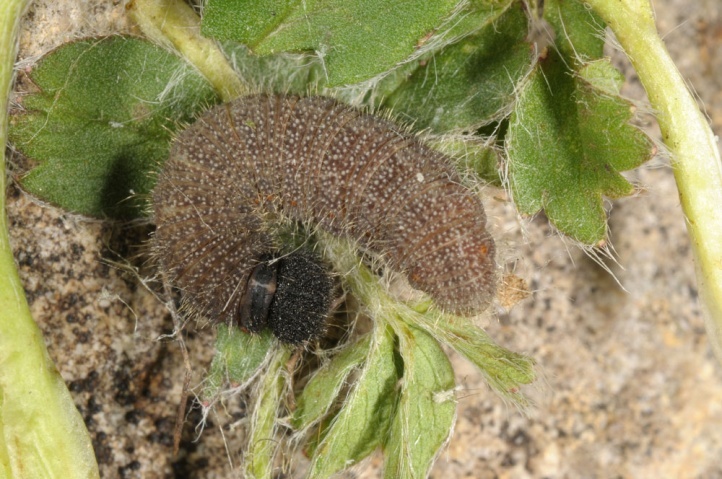 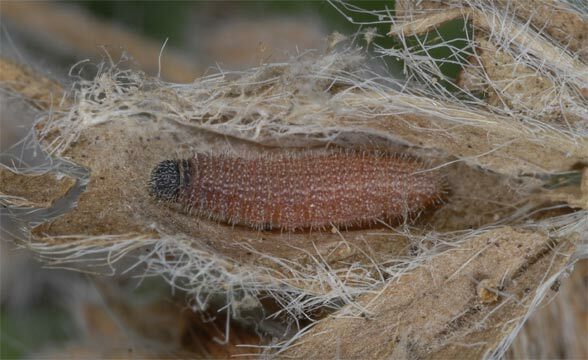 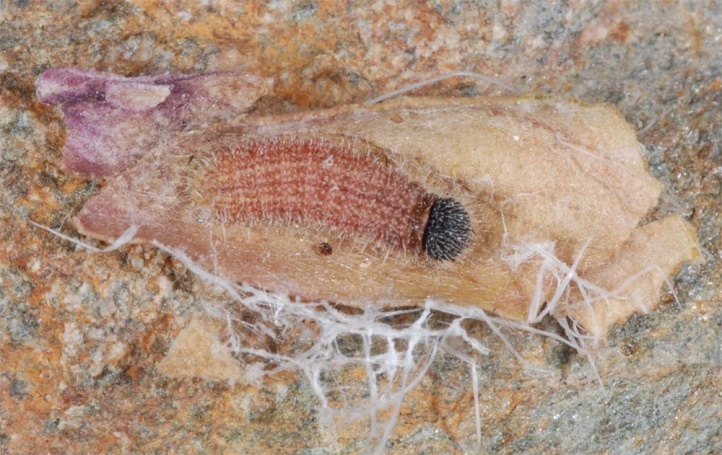 The caterpillar has an aestivation dormancy as L3 at least at lower altitudes, when it constructs a shelter in some centimeters above ground at the wilting flower shoots of P. hirta where it is protected from the extreme heat on soil level. 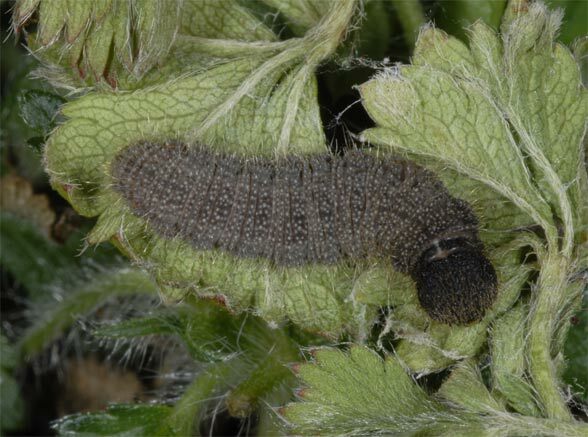 In Greece I found aestivating larvae together with fresh eggs of Pyrgus cinarae (these usually at the bottom of old flowers for the same reason) in completely dried fruit shoots of Potentilla recta and P. hirta in housings made of the stem leaves (e.g. 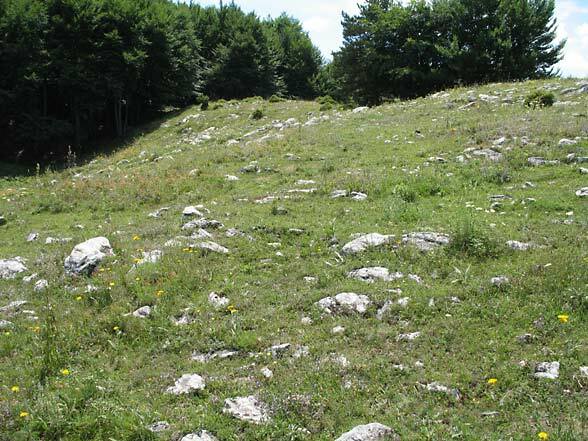 mid-July 2009). 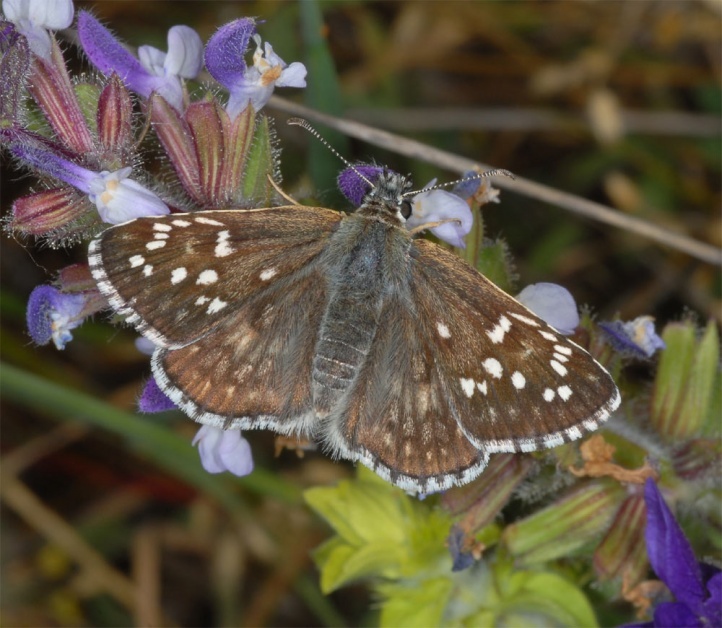 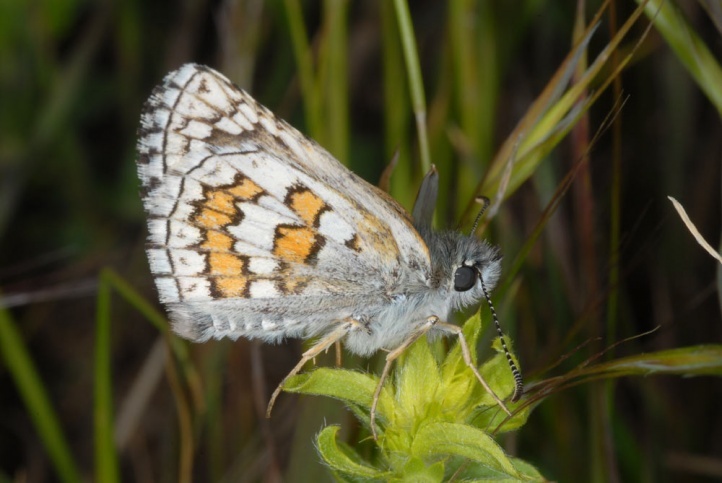 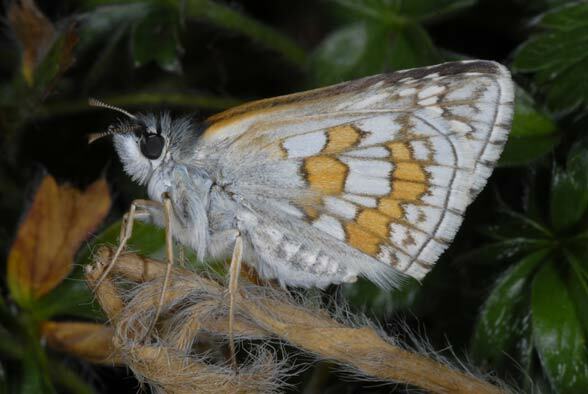 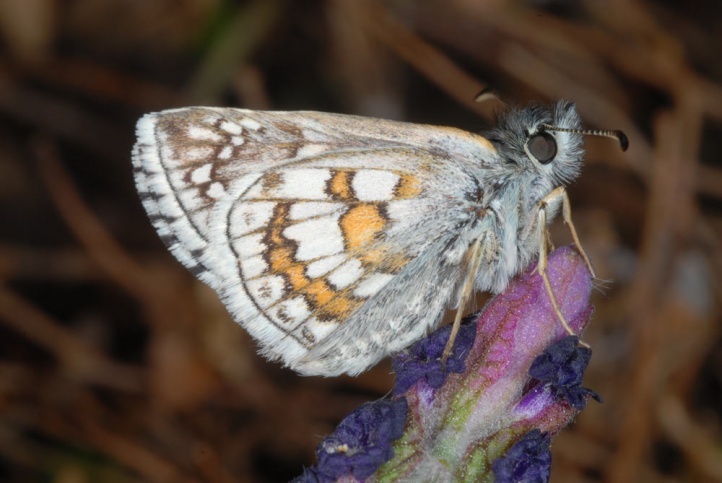 In Provence and Spain Pyrgus sidae is restricted to a few sites and is certainly endangered (habitat loss), but it is still widespread in the east (e.g. 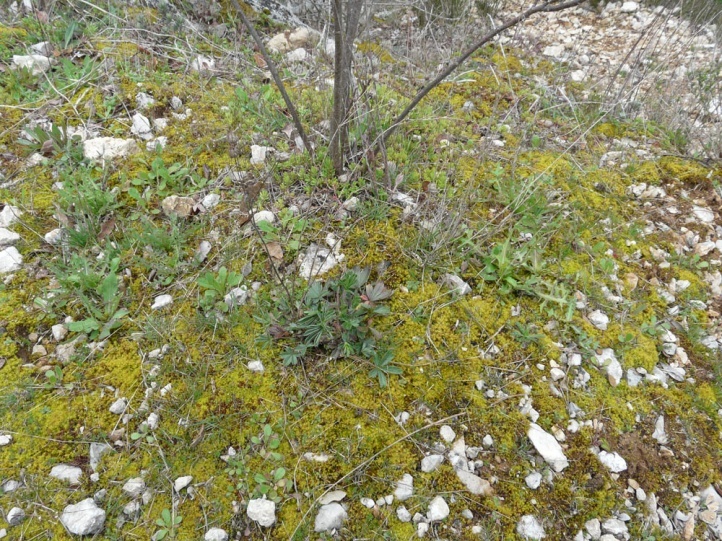 Greece, Turkey). 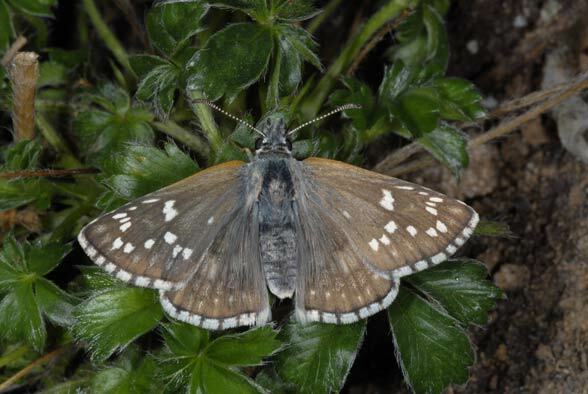 In Europe this species is unique in the yellow bands of the hindwing underside. 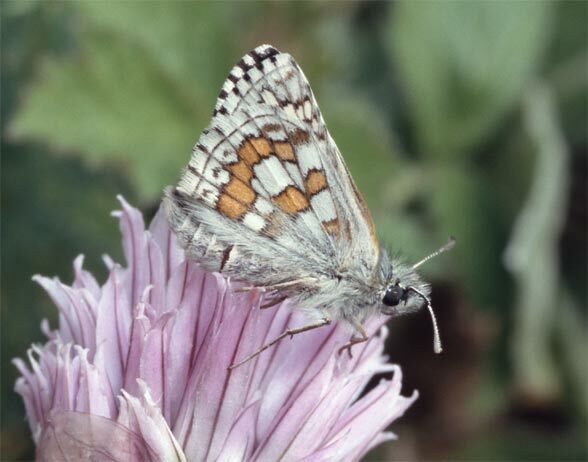 Pyrgus sidae occurs from Spain (where it is found only in a very small area) across Southern France and parts of Italy and Southeastern Europe (the Balkans). 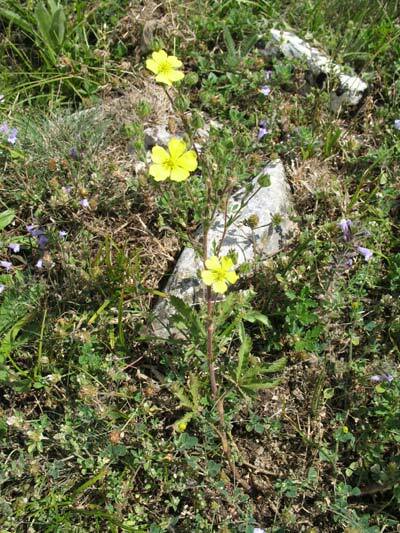 Moreover, it is found from Turkey to the Tian Shan.